HTC One M9e, a new variant in the M9 series has been certified in one TENAA (Via) in China. According to the images, the smartphone will come with a unibody metal design and a 5-inch 1080p display, similar to One M9. It is likely to come with a 2.2 GHz Octa-Core Helio X10 SoC instead of Snadpragon 810 SoC on the M9, but it has 2GB of RAM compared to 3GB of RAM on the One M9 and the One M9+. It has dual front-facing speakers, 13-megapixel rear camera with dual-tone LED flash and an UltraPixel front-facing camera. 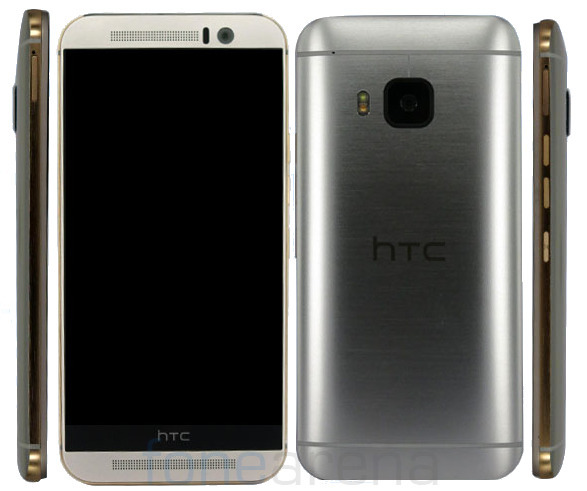 The HTC One M9e comes in Gold, Silver, Gray and Black colors. It might not be the rumored One M9+ successor that it expected to be introduced at tomorrow’s event along with Butterfly 3 variant for China. We will have to wait to see what HTC has to offer.